Britain's former Foreign Secretary has hit out at how policing forces are managed in the UK, following an arrest of mother of two for calling a transgender woman - a man, on Twitter. "Are you really telling me that it is a sensible ordering of priorities to round up Twitter-borne transphobes and chuck them in the clink, when violence on the streets would seem to be getting out of control?" asked Boris Johnson, writing in his weekly column. Describing the case of Kate Scottow, 38, arrested by Hertfordshire Police, Johnson argued that it showed "abuse of manpower and police facilities" at a time when violent crime is on the rise. Around 40,100 (selected) offences involving a knife or sharp instrument were recorded in Britain in the year ending March 2018, which was the highest number in eight years. With London showing the highest rate and Johnson being the former mayor of the capital, his commentary on tackling crime and violence is somewhat an established practice. 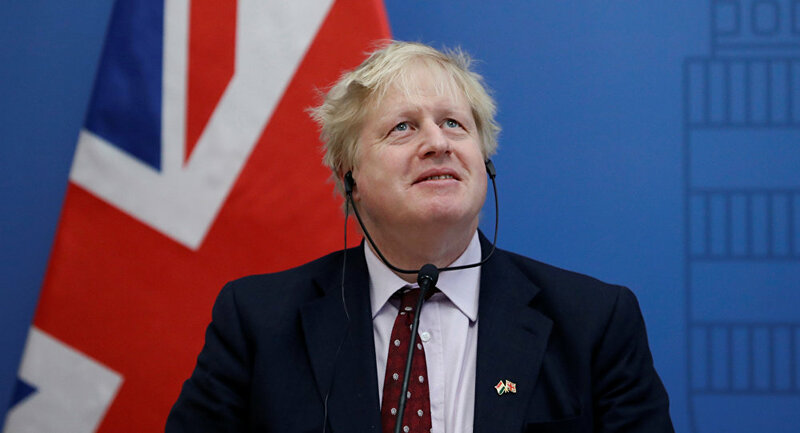 The Hertforshire woman, whose case Johnson addressed, was arrested by three officers at her home in December last year, with police taking her mobile phone and laptop. She was accused of "malicious communication" targeted against a transgender woman Stephanie Hayden, whom she called a man on Twitter. Their argument revolved around whether trans people should be able to legally change gender through a simple self-identification process with little or no medical oversight. "It would seem, furthermore, that her [Scottow's] attitude towards transgender people is antediluvian and offensive — but if, and only if, you can be bothered to read her tweets, and if, and only if, you can be bothered to take offence." Johnson raged on in his column over whether this is "really the right way to fight crime. Meanwhile, fewer officers are available to respond to crime reports, as policing forces are overstretched. According to a report by Her Majesty's Inspectorate of Constabulary (HMIC), budget reductions has led to some UK police forces employing "dangerous practices," such as failing to respond timely or provide adequate risk assessment over the phone. "Is this what our brave police officers signed up to do?" Boris Johnson commented. Stephanie Hayden, previously known as Tony Halliday and Steven Hayden, has opposed billboards displaying a definition of a woman as an "adult human female," arguing it was offensive. Hayden took to Twitter on Monday to report that a former UKIP London Assembly candidate Alex Nieora had contacted her "with an abusive transphobic message."